You’ve probably already heard about it. Somebody is going to great lengths to turn one arguably ridiculous lawsuit into a big news story. Here’s the facts, in case you are one of the few who haven’t heard: Two burger enthusiasts with a dislike for cheese are suing McDonald’s, and looking to hit the company with a massive class action. They, and their obscure Florida attorneys, claim the fast food giant’s practice of charging the same for a Quarter Pounder after removing the cheese, is in violation of antitrust regulations and constitutes unjust enrichment. Sounds like pure bullsh*t to us. 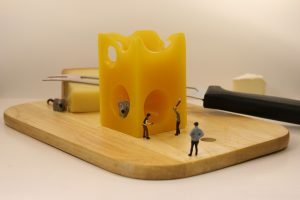 Apparently, however, the two Floridians bringing this dubious lawsuit are outraged that they must routinely pay between 30 and 90 cents for cheese they don’t want, and didn’t receive. Consumer protections are what I live for. When we fight greedy and corrupt corporations, we are doing so on behalf of both our individual clients and society as a whole. In our line of work, we often fight over life and death issues. We have fought physicians that prescribe unnecessary medications. Clinics that make patients receive surgeries they don’t need. We have fought for for thousands of people who lost their homes after the 2008 banking crisis, for the millions of people who get screwed by the system on a regular basis. This is our life’s work. That is why, when lawyers are being accused of being the soulless and greedy ones themselves, I have to take a stand. What does this have to do with paying with a nonexistent slice of cheese? you may ask yourself. Well, unsurprisingly, a lot. The fact is, if you do the math, the people who are benefitting the most from the so-called frivolous lawsuit against McDonald’s are not consumers, but rather, the usual suspects who lobby and fund election campaigns in the hope that Americans will be once and for all deprived of their right to receive adequate compensation when corporations destroy their lives, defraud taxpayers, and break the rules that are supposed to protect us all. I am referring to tort reformists, who have enjoyed quite the bonanza in the current political scenario. So, pro-tort “reform” bloggers are making headlines all over the web. ‘This cannot be, greedy lawyers are a burden on justice, cap damages now!’ ‘Lawyers are ruining America with their frivolous lawsuits,’ the list is endless. I invite you to Google the case, and you will see. They are everywhere, and they are not coming after us, whistleblower attorneys, they are coming after you. They are coming to strip you of your rights, and they are bringing the big guns. Last week the so called “tort reform” movement (big business) won an important victory in the U.S. Supreme Court when a divided court ruled 5 to 4 that companies could force workers to give up their right to sue for employment law violations. Consider the minimum wage worker being denied minimum wage or forced to work off the clock. Now it is legal for an employer to force her to give up her right to sue. The true goal of so-called tort reform is to close the courthouse doors to ordinary working class Americans. And one Florida lawyer, John Uustal, is fighting back. And putting his money where his mouth is. He is offering a $100,000 reward to expose what he believes is the latest dirty trick foisted on the public by greedy business owners. John Uustal, a Florida lawyer who went after Philip Morris tobacco to try to save a woman’s life, who risked the survival of his then young firm to hold Toyota and Firestone accountable for deadly accidents caused by defective parts, has an interesting theory: Is it not possible that the ‘who took my cheese’ lawsuit is a fabrication of tort reformists to incite outrage and advance their cause? “Could the entire lawsuit be a scam? A scam to create more smoke for corporate lobbyists so they can destroy our rights to get justice when a manufacturer knowingly and intentionally refuses to fix a defective product that kills, or a bank steals money from its customers? Where a naive layman sees the ultimate frivolous lawsuit, one that is bound to lose the lawyers a significant amount of money, Uustal sees the strings of their masked intentions. The puppeteers, he suspects, are the same individuals behind tort reform bills and the constant demonization of lawyers in the media. If Uustal is right, those conspirators even lack creativity; you can see the the top of their heads behind the curtain as the puppets play their scripted show. The choice of McDonald’s as the target of the lawsuit is very telling. After all, it is the ‘hot McDonald’s coffee’ lawsuit from the 90s that is perhaps the most remembered ‘frivolous’ lawsuit in the public’s mind. If Uustal is right, we really need to pay attention. We can no longer take things at face value. If Uustal is right, I really hope he catches the villains this time. In the opening days of the Trump administration, Republicans pushed through a class action bill in Congress. We say “pushed” because the legislation was passed without any public hearing or even a committee hearing. Republican leadership, acting with the blessings of the U.S. Chamber, wanted to gut class action lawsuits. They did so by creating a catchy title, the “Class Action Fairness Act,” and insuring that no one would have the opportunity to ask any questions. Thankfully, Senators on both sides of the aisle were not as reckless. The legislation died, at least for now. But if Uustal is right, the reformers and big business lobby will be back, this time decrying how out-of-control lawyers have become. And the McDonalds cheeseburger lawsuit will be their new rallying cry. We agree that frivolous lawsuits should be curbed. Federal judges already have the power to sanction lawyers who bring these nonsense lawsuits. Curbing all class actions, however, is not the solution. Why not? In smaller cases, no lawyer will take a single claim. Let’s say you have a Wells Fargo checking account. You notice that they are charging you too much in fees each month. Looking online, you see that everyone is complaining about these improper fees. Try to find a lawyer willing to take a single case for $30 in fees. Obviously no one will. The only way a lawyer takes that case is through a class action. Take away the right to bring a class and justice for middle class America disappears. And that is exactly what groups like the Chamber and other so-called reformers want to do. Corporate wrongdoing is rampant in America. Tort law and class actions are one of the few remaining incentives big corporations have to produce products that are safe and to behave like good corporate citizens. They now that law firms like MahanyLaw are standing watch and ready to protect consumers. We can do that because class actions give us the necessary economies of scale to take on giant companies. Do we think the McDonalds cheeseburger lawsuit is frivolous? Absolutely! Let the court punish the lawyer that filed that suit and not simply use one frivolous claim to bar all class actions. Is John Uuustal right in his theory? Are the lawyers who brought the McDonalds cheese lawsuit simply dumb or or were they bought? I don’t have the answers. But if John is correct, hopefully someone will step forward and expose the true wrongdoers and their motivations. All inquiries are protected by the attorney – client privilege. We are also always looking for insiders. Even if you don’t qualify for a whistleblower reward, your information may be valuable to stope others from getting hurt or swindled. Since 2014 we have helped our clients collect over $100 million in cash awards. And we have also put an end to many frauds.